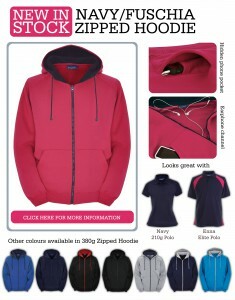 The fantastic Papini zipper hoodie range has some new colourways joining its well established and hugely popular members! 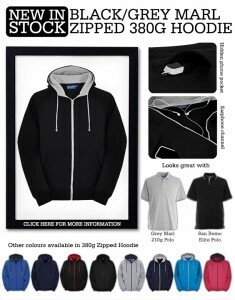 Offering superb quality, with fantastic features, there’s no better spec for this type of cool hoodie zip top! The new black with grey marl contrast is an ideal addition to the range. 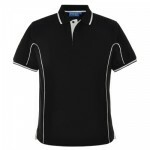 It complements the standard black or grey marl polo shirt and is also designed to complement the San Remo polo shirt from the Papini Elite range. The cyan with grey marl contrast zipper hoodie is a great addition. 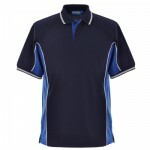 It works well with the cyan & grey marl polo shirts from the standard range. 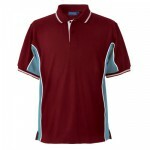 It can also be worn with the Monza & Pompeii polo shirts from the Elite range as well. 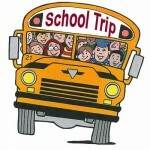 There’s a new colour scheme of Fuchsia with Navy contrast. 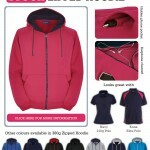 This is a super cool hoodie, complementing the existing Navy & Fuchsia polo shirts! 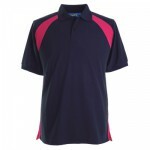 It’s also great with the new Enna Elite range polo shirt in Navy with Fuchsia contrast. 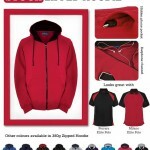 This entry was posted in Hoodies, Product updates and tagged Cumbria, hoodie zip, hoodies, North West, zipper hoodie, zoodie on 16th July 2014 by admin. 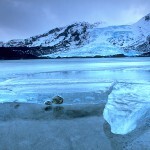 Hoodies – not something to be scared of on a dark night! Hoodies: Love them or hate them they’re here to stay! 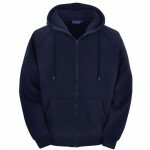 A brief history of the hoodie: In theory the advent of the hoodie can be dated back to Medieval Europe, when the formal attire for monks included a long decorated hood called a cowl. However the hoodie as we know it today really took off in the 1970s in America, when hip hop culture developed in New York. 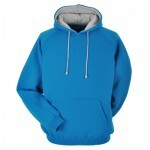 The practicality of the hoodie was popular amongst young people, and this was increased by the high profile appearance of the hoodie in the Rocky films. 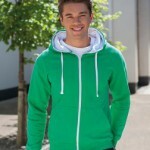 The biggest trend in hoodies now is customisation and branding, something Stitch & Print are experts in! We have wide range in hoods, all of which can be customised by our team of printing and embroidery experts. 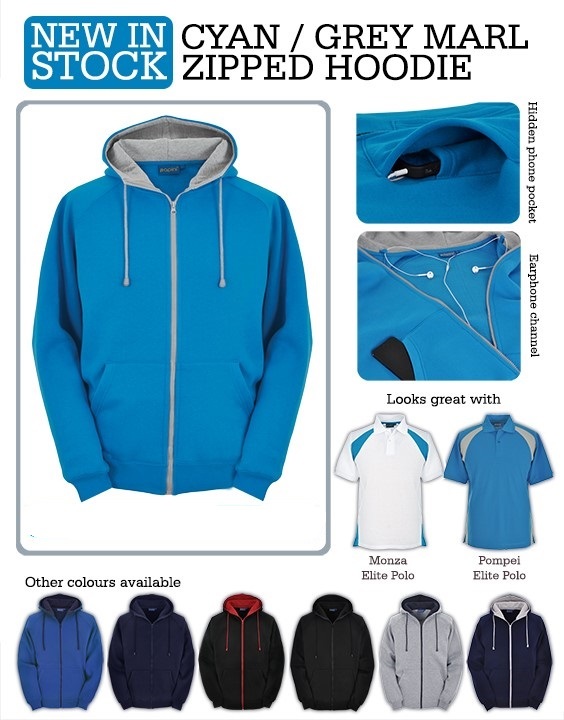 As well as traditional single colour garments we also stock a range of contrast colour ways where hood linings, toggles & coloured panels are a great way to achieve a personal touch, These options are fantastic for club wear! 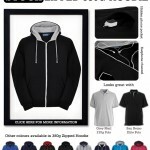 The Papini hoodie is a deluxe quality 380gsm fabric with colour contrast to the hood lining & toggles. This means that not only is the finished product stylish, it is incredibly warm and comfortable. We have a range of hoods designed specifically for ladies which include longer hemlines, This below the waist design can be worn with a pair of leggings giving you plenty of style options. It is also available with a V-neck option. One of the more recent booms has been the Zoodie; Zoodies or zip-up hoodies, are really fashionable at the moment, with all the high street favourites stocking them. They add to the practicality of a standard hoodie & these have been really popular with ladies where an over the head hood can make a real mess of well turned out hair! 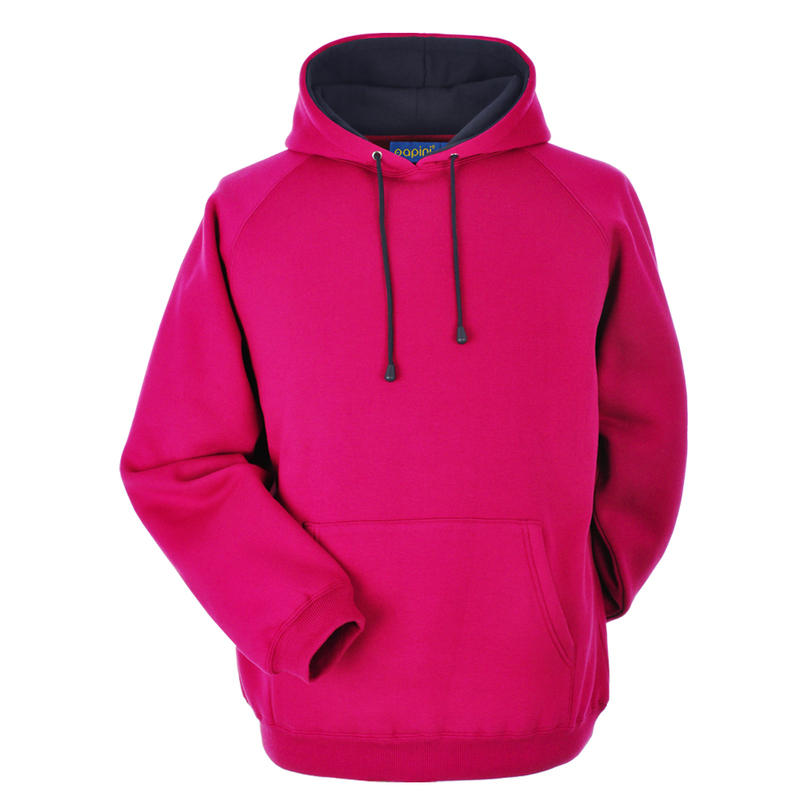 Hoodies are now a truly multi-purpose garment: They are used in sports teams, Business’ love them, especially if working outside, They’re popular with students both leaving school and joining university, They’re even part of the uniform for some schools! So next time you see a hoodie, don’t wonder what the wearer is up to – think about what design we could add to it to make it personal for you! This entry was posted in Hoodies on 13th March 2013 by admin.